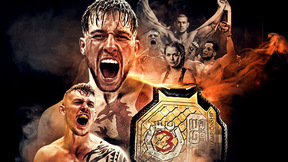 EFN 46: Moscow from April 29, 2016. 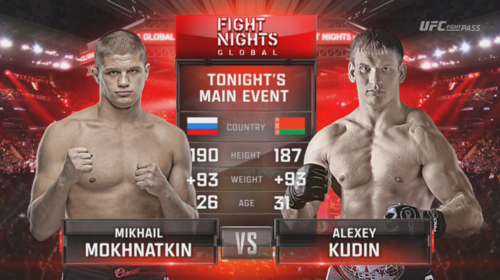 Mikhail Mokhnatkin vs Alexei Kudin EFN 46: Moscow Apr 29, 2016 (40:45) Mikhail Mokhnatkin vs Alexei Kudin EFN 46: Moscow from April 29, 2016 in Moscow, Russia. 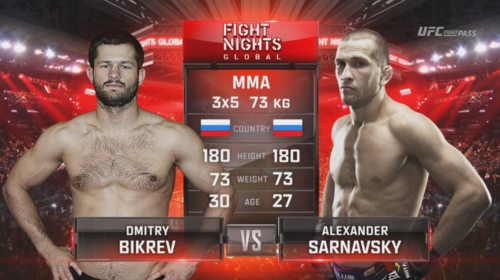 Alexander Sarnavskiy vs Dmitry Bikrev EFN 46: Moscow Apr 29, 2016 (27:36) Alexander Sarnavskiy vs Dmitry Bikrev EFN 46: Moscow from April 29, 2016 in Moscow, Russia. 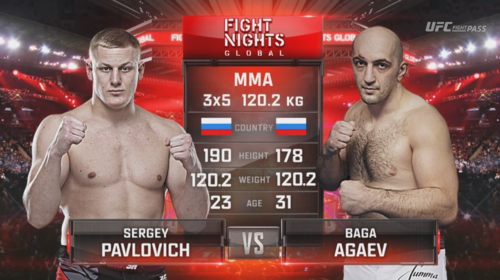 Sergey Pavlovich vs Baga Agaev EFN 46: Moscow Apr 29, 2016 (25:11) Sergey Pavlovich vs Baga Agaev EFN 46: Moscow from April 29, 2016 in Moscow, Russia. 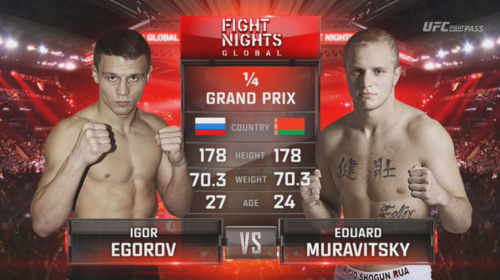 Igor Egorov vs Eduard Muravitskiy EFN 46: Moscow Apr 29, 2016 (7:54) Igor Egorov vs Eduard Muravitskiy EFN 46: Moscow from April 29, 2016 in Moscow, Russia. 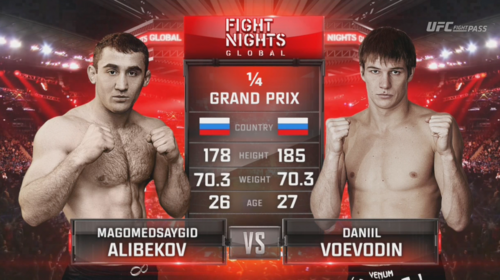 Magomedsaygid Alibekov vs Daniil Voevodin EFN 46: Moscow Apr 29, 2016 (23:58) Magomedsaygid Alibekov vs Daniil Voevodin EFN 46: Moscow from April 29, 2016 in Moscow, Russia. 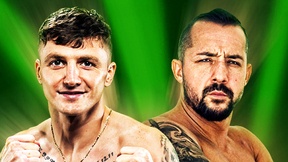 Vadim Sandulitsky vs Vasiliy Zubkov EFN 46: Moscow Apr 29, 2016 (22:31) Vadim Sandulitsky vs Vasiliy Zubkov EFN 46: Moscow from April 29, 2016 in Moscow, Russia. 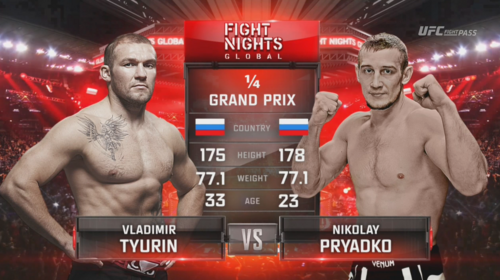 Vladimir Tyurin vs Nikolay Pryadko EFN 46: Moscow Apr 29, 2016 (8:45) Vladimir Tyurin vs Nikolay Pryadko EFN 46: Moscow from April 29, 2016 in Moscow, Russia. 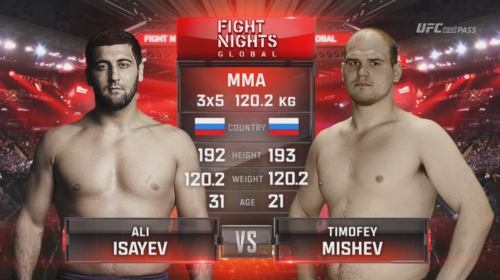 Ali Isaev vs Timofey Mishev EFN 46: Moscow Apr 29, 2016 (23:23) Ali Isaev vs Timofey Mishev EFN 46: Moscow from April 29, 2016 in Moscow, Russia. 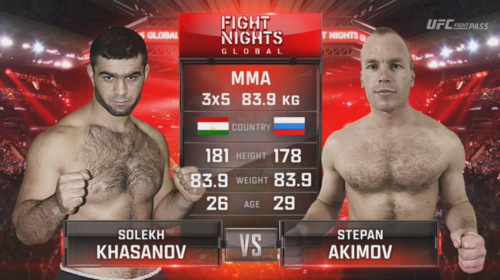 Salih Khasanov vs Stepan Akimov EFN 46: Moscow Apr 29, 2016 (7:08) Salih Khasanov vs Stepan Akimov EFN 46: Moscow from April 29, 2016 in Moscow, Russia. 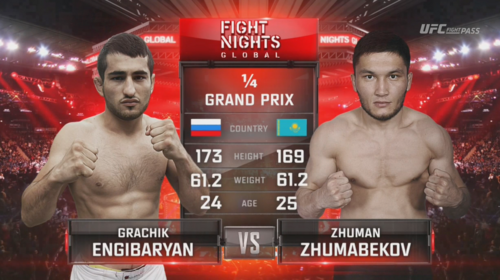 Zhaman Zhaumabekov vs Grachik Engibaryan EFN 46: Moscow Apr 29, 2016 (15:21) Zhaman Zhaumabekov vs Grachik Engibaryan EFN 46: Moscow from April 29, 2016 in Moscow, Russia. 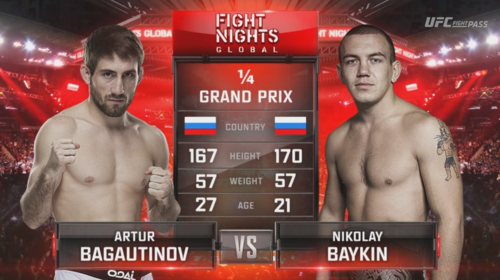 Artur Bagautinov vs Nikolay Baykin EFN 46: Moscow Apr 29, 2016 (14:22) Artur Bagautinov vs Nikolay Baykin EFN 46: Moscow from April 29, 2016 in Moscow, Russia. 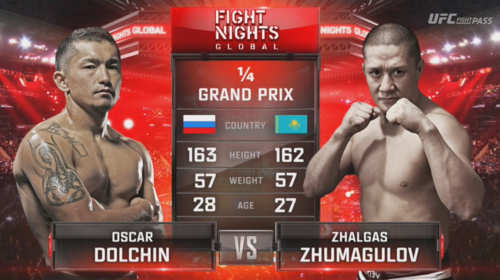 Zhalgas Zhumagulov vs Oscar Dolchin EFN 46: Moscow Apr 29, 2016 (24:38) Zhalgas Zhumagulov vs Oscar Dolchin EFN 46: Moscow from April 29, 2016 in Moscow, Russia. 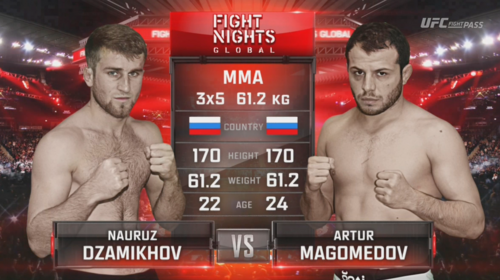 Artur Magomedov vs Nauruz Dzamikhov EFN 46: Moscow Apr 29, 2016 (23:54) Artur Magomedov vs Nauruz Dzamikhov EFN 46: Moscow from April 29, 2016 in Moscow, Russia. 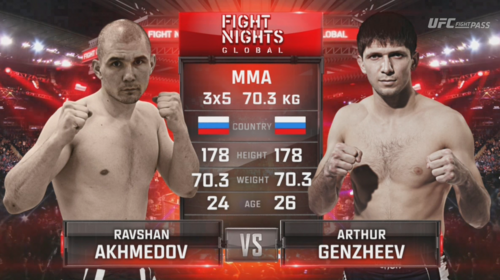 Ravshan Akhmedov vs Artur Genzheev EFN 46: Moscow Apr 29, 2016 (22:59) Ravshan Akhmedov vs Artur Genzheev EFN 46: Moscow from April 29, 2016 in Moscow, Russia. 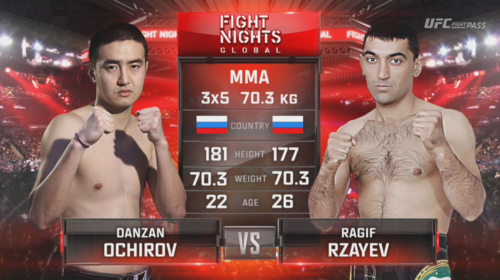 Ragif Rzayev vs Danzan Ochirov EFN 46: Moscow Apr 29, 2016 (27:01) Ragif Rzayev vs Danzan Ochirov EFN 46: Moscow from April 29, 2016 in Moscow, Russia.